Posted March 11, 2019 by David Somerset & filed under Features, General, News. Twitch now has a casino section which continues to attract new viewers. In fact, a single stream averages 500 views, sometimes even more! 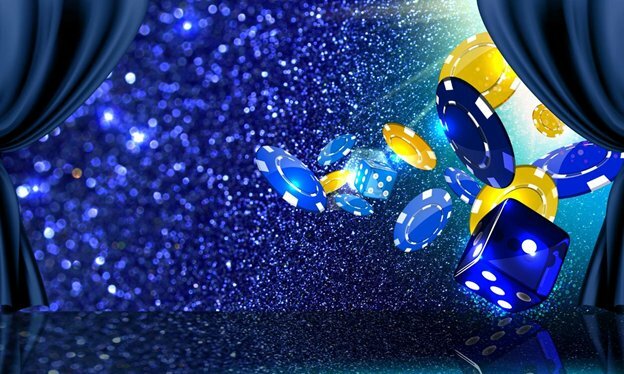 Indeed, casino streaming is enjoyable and fun for the casino community. Unfortunately, many still don’t know how to stream. If you’re one of those people, then you’ve just found the right place. Here we’ll show you how to! Twitch streaming uses lots of computing resources, which is why you need to have a computer that’s capable of running demanding tasks. Have at least 8GB of RAM if you want to have a seamless streaming experience. A multi-core processor just like a Core i7 920 or similar variants is also recommended. Meanwhile, it’s better if you have a wired connection from your PC to your internet router. This is to avoid dropped frame issues. An internet connection with speeds of around 5mb/s download and upload is ideal if you want to stream in HD or at least 720p resolution. Now it’s time for you to set up your account. Create a well-thought-out username, one which can identify you as a brand. Access your Dashboard on Twitch and click the Stream Key link. You need this to stream your casino game on the platform. Click Accept when a popup appears, then copy paste the key to a notepad file. You’ll need this later. Use Casumo to create your account. This is a notable online betting house which doesn’t allow free play. This lets your viewers know that you’re dealing with real betting money. OBS stands for Open Broadcaster Software. This is a highly used open source solution if you want to stream games on Twitch. It’s best to use its 64-bit version as this streams your activity in HD. After installing OBS, open the app and click Settings found at the bottom right corner. Click the Stream tab found on the left side and select the Twitch service. Then choose the best server for you. The one which is nearest your location works best. Enter your Stream key when prompted. Choose the x264 encoder found on the Output tab. This is where your stream’s quality level depends. Rescale your resolution to 1920 x 1080 if you have a 1080p or higher resolution. However, you can stream at 720p but just make sure that you rescale it in accordance with your screen’s resolution. Then set your rate control to CBR. Experiment on the figures until you reach dropped frames of 0%. Leave the remaining settings as is. Set your sample rate to 44.1khz for the best audio quality possible. Also, don’t set the resolution too low. You should set its minimum to 1280×720 so that your stream won’t be pixilated on your viewer’s screen. Choose 60 FPS if your computer can accommodate it. But if not, then 30 FPS will do. Don’t worry about downscaling because doing so doesn’t mean that your quality will be negatively affected. Now that you know the technical aspects, it’s now time to create a streaming schedule. This is vital for you and your viewers because this is where your casino streaming success lies. Regularly streaming on exact times and dates increase your viewers and make you a more prominent streamer. By simply following the steps mentioned in the article, you’re able to stream your games on Twitch. Not only does this ensure the best experience for your viewers, but this also makes you more popular. Who knows? Maybe this is what you need to have good luck!